Rabbi Zvi Engel is the Rabbi of Congregation Or Torah in Skokie, IL. Before coming to Skokie, in September 2008, Rabbi Engel served as the Rabbi of Congregation Ahavath Achim in Fairfield, CT, for five years. In addition to his pastoral, educational, and organizational responsibilities, Rabbi Engel currently serves as the President of the Chicago Rabbinical Council, and as the Chair of the Membership Committee of the Rabbinical Council of America. His affiliations include the Jewish United Fund of Greater Metropolitan Chicago, AIPAC, and he is a member of the Orthodox Union's Legacy Group. Born and raised in Montreal, Rabbi Engel studied at Yeshivat Har Etzion, holds a B.A. in English Literature from Yeshiva University, and received his rabbinical ordination from the Rabbi Isaac Elchanan Theological Seminary (RIETS), an affiliate of Yeshiva University, in 2002. Beyond enjoying the benefits of strong mentors within his own family and of various teachers, Rabbi Engel credits a number of formative experiences with shaping his approach to the rabbinate, including working with Jewish youth in Australia, Belarus, Canada, Israel, Poland, Ukraine, and the United States. Over the years, he served as the leader of various programs, such as: Yeshiva University's counterpoint, OU-NCSY's JOLT Program, as as a regional coordinator for OU's Yachad/Re'im Program for Jewish People with special needs. Rabbi Yitzy Sprung is the Assistant Rabbi of Congregation Or Torah and a Rebbe at the Ida Crown Jewish Academy, both in Skokie, IL. A former fellow at the Yeshiva University- Torah Mitzion Kollel of Chicago, he previously attended Yeshivat Birkat Moshe in Ma'ale Adumim for two years before obtaining a Bachelor of Laws (L.L.B.) at Bar Ilan University. Following Bar Ilan, Rabbi Sprung studied for three years under Rabbi Jeremy Wieder at YU's Rabbi Isaac Elchanan Theological Seminary. He is currently pursuing an M.A. in Jewish Philosophy at the Bernard Revel Graduate School of Jewish Studies, also at YU. 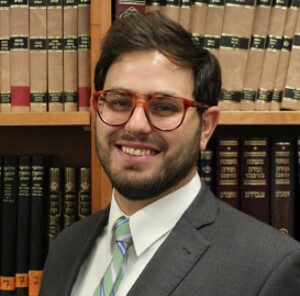 Rabbi Sprung has served as Assistant Director of Community Engagement at the Organization for the Resolution of Agunot (ORA), a Yeshiva University-SAR HS Beit Midrash Fellow, and as the Rabbinic Intern at Kesher Israel in Washington D.C. Yitzy, Tiferet, and their two children Eliana and Joseph are excited to join the extended Or Torah and Skokie family. Sarah Silvestri- Bernstein received her Bachelors in Biology & Psychology from Yeshiva University’s Stern College for Women. She most recently served as a Qualified Intellectual Disabilities Professional at Clearbrook/The Libenu Foundation. In this role, Sarah managed the day to day operations of several group homes, coordinated with the various stakeholders including parents, the board and Clearbrook operations, while also working for Chicago Yachad. This helped lead Sarah to join the Congregation Or Torah family. Sarah and her husband Josh got married in August 2012 and have two children, Olivia & Liam.